Smotrich says video clip proves 'IDF Spokesperson's Unit objectifying men', bashes mixed-gender combat units. Jewish Home lawmaker Bezalel Smotrich alleged that the IDF Spokesperson's Unit was "objectifying men" after a reality TV series showed female combat soldiers ogling their male counterparts. The TV series, titled "Mixed Unit", features a real-life mixed-gender combat unit and is broadcast on Kan. The series was launched in an attempt to put a softer face on mixed-gender combat units, which have been a lightning rod for controversy. In a promotional trailer Kan released on Sunday, female troops can be see ogling male special-forces operatives who were training near them at Tzeelim's urban warfare school. "May God have mercy ... We come in and see the perfect thing in front of us. Such studs, I dying, some studs, I'm fainting. I also want to be here for a month and a half," said one of the soldiers. According to Smotrich, the show was objectifying men and was a low-class portrayal of the IDF. "The IDF Spokesperson's Unit decided to turn the IDF into a reality show that objectifies men. Of course, women can never be objectified," said Smotrich sarcastically. "The program humiliates women as if all they are interested in are handsome men," added Smotrich. 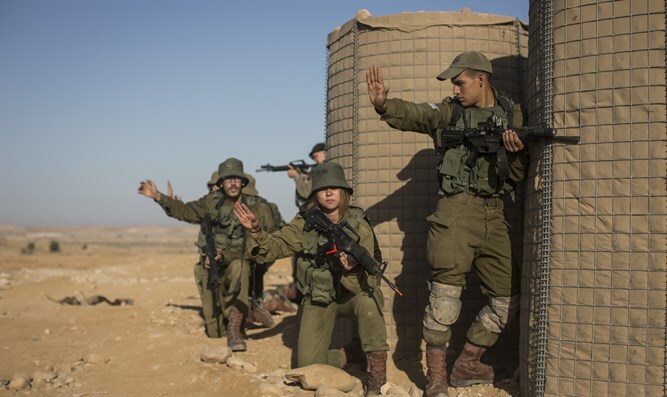 The IDF's integration of women into combat units has aroused significant opposition in the Religious Zionist community to which Smotrich belongs. Opponents point to the modesty problems such units pose to religious troops and say that the combat performance of such units is vastly inferior to their all-male counterparts.